Made of high quality stainless steel, this is a classic cosmetic palette for mixing foundation tones. Durable, rust-proof, easy to clean and wipe. 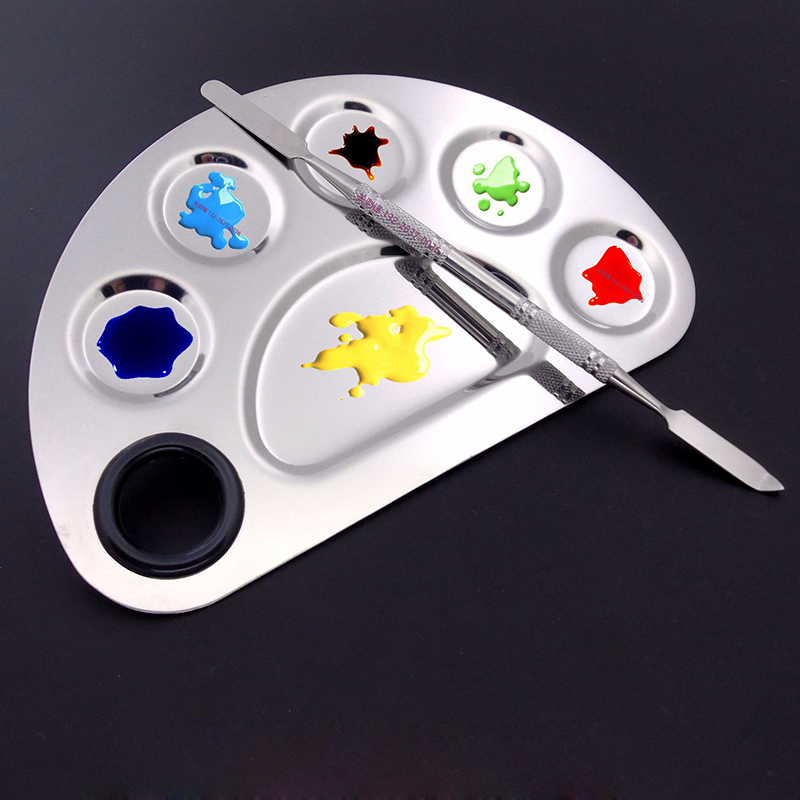 You can also use it as an art palette for free painting. Provide this makeup mix palette to beautify your brand! It is made of high quality stainless steel with a size of 61/8 "W x 3 15/16" H. Very suitable for mixed foundation, such as mixed lip gloss or eye shadow color. It also comes with a scraper tool. This product is suitable for both professional use and family use. Add your company name or logo with our laser engraving method to make your business look like your customers will be perfect! Welcome to send inquiries!